Glen Lerner’s Merrillville outreach team partners Impact Christian Church to give away 200 frozen turkeys. RSVPs are required to reserve a turkey for pick up. MERRILLVILLE, IN, UNITED STATES, November 2, 2018 /EINPresswire.com/ — Glen Lerner’s Merrillville outreach team partners with the Impact Christian Church located at 7071 Broadway, Merrillville, IN 46410 to give away 200 frozen turkeys on Monday, November 19th from 10 am to 2 pm. Families interested in picking up a turkey for their Thanksgiving feast must RSVP in advance at sendrsvp.com/9121, or by calling 888-902-3011, ext. 9121. It is important to note that the person who RSVP’d must present an ID to pick up their turkey. “Thanksgiving is that unique time of the year where families and individuals tend to reflect more on the many blessings in their lives. For our team, we are grateful for the partnerships we’ve built in Merrillville. 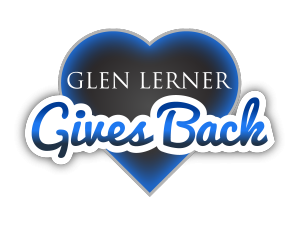 We also look forward to fostering more relationships so that we can grow the positive impact we have in the lives of those needing an extra hand,” said attorney Glen Lerner. Hurt outside one of those states? We’ve got you covered with an established network of attorneys across the country that are ready to help. When you’ve been injured due to someone else's negligence, a personal injury attorney can make the difference between whether you receive a fair amount of compensation for your suffering. Our team is also well versed in social security claims, dangerous product lawsuits, and claims for injuries due to dangerous drugs. To find additional information, visit glenlerner.com/merrillville-injury, or call (219) 227-4993.